Last month, PYC hosted a business management and capacity building workshop with guest speaker Mr. C. Ramsby, a Swedish investor. The workshop focused on management style, business management, evaluations and definitions. The students were asked to develop their own business plans which Mr. Ramsby offered to revise, correct, and even finance if he deemed them economically viable enough. 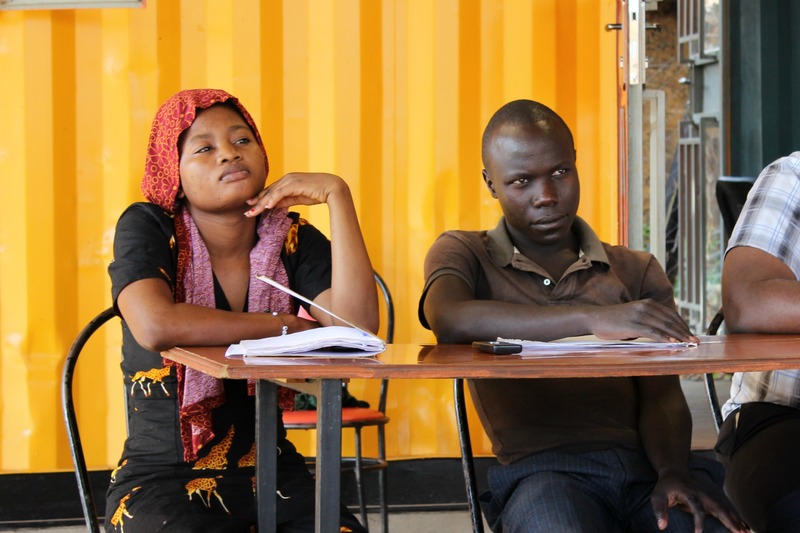 The capacity building workshop helped to push the students to think differently and contribute to the conversation, each student coming up with a business idea to contribute to the group. Mr. Ramsby used real-life situations to help the students to imagine and relate to business management. He asked the students what they do to deal with everyday life situations, relating this to how to effectively assign and manage tasks in business, breaking down each and every task that is done to make an event a success – from washing dishes, shopping, cleaning the house, cooking and serving food to guests. Mr. Ramsby highlighted that each person’s individual effort helps to contribute to the success of an organization. He also talked about 360 degree business analysis and the need to make assumptions when doing business planning. Mr. Ramsby then talked about innovation, highlighting the importance of new ideas, explaining that when planning, it is important to create unique selling propositions which should be the team, the product or the package.The students were challenged to work together, improving their team-work skills. They loved the workshop and asked to have Mr. Rambsy back at the centre for other business management and capacity building workshops! Guest speaker Mr. C. Ramsby talking to PYC students. PYC Business and Innovation – the Spirit of Excellence. 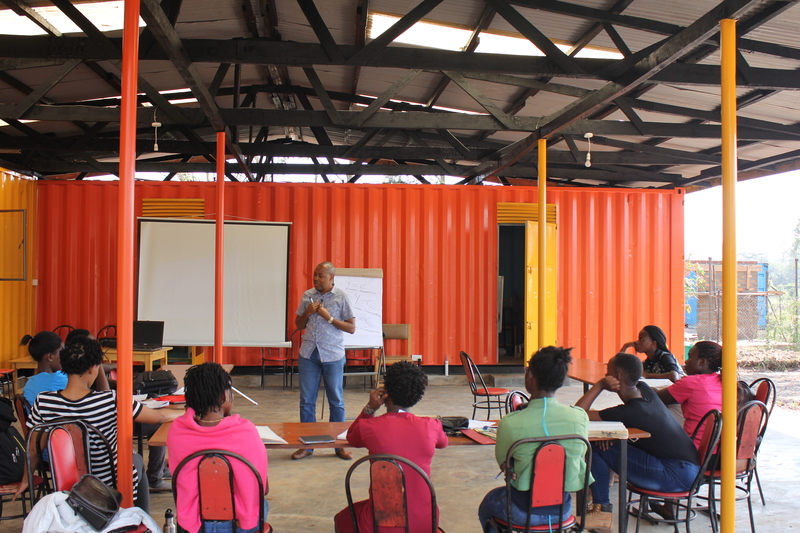 Last week, Fontes Foundation continued its motivational speaker series at Potentiam Youth Development Centre (PYC) by welcoming business specialist Edward Hire of AIG Uganda to talk to the Core Course students about business and innovation. He spoke about the “Spirit of Excellence” and the importance of thinking outside the box to achieve one’s dreams. Edward began the discussion by asking the students about their dreams and what they want in life. The majority of the students said that they want to start their own businesses, with the exception of two female students, one of whom dreams to go to London while the other would like to play for Manchester United football team. Edward Hire talking to the students. Edward Hire spoke enthusiastically about dreaming big, and about the importance of not letting oneself get discouraged by a situation or environment. He assured the students that if they dream, they will be surprised by how far they can go: “dream big, no matter the environment around you; the first step is to dare to dream.” He went on to stress the importance of challenging one’s mind and of thinking outside the box: “if you change your mind, your world will start to change.” The students were asked to think about how they could push themselves to achieve their goals. They were reminded that everything people do is a mind-set and that if you look at life differently- doing everything with a “spirit of excellence”- you can be successful. Edward Hire explained that you have to work hard and pay the price to achieve your goals, explaining the “Principles of Excellence” which can be used to help define and push oneself. Do not settle for the average. Say what they mean and mean what they say. Go the extra mile; an excellent spirit always goes beyond the call of duty. Are consistent in everything they do. Give 100%; they pay the price to meet an objective. Have a signature: something that defines them. Never compare themselves with anyone but themselves. Are always looking for solutions for people in their societies. Students taking notes during the business and innovation talk. Thank you Edward for such an inspirational talk! The students with Edward Hire after the talk. 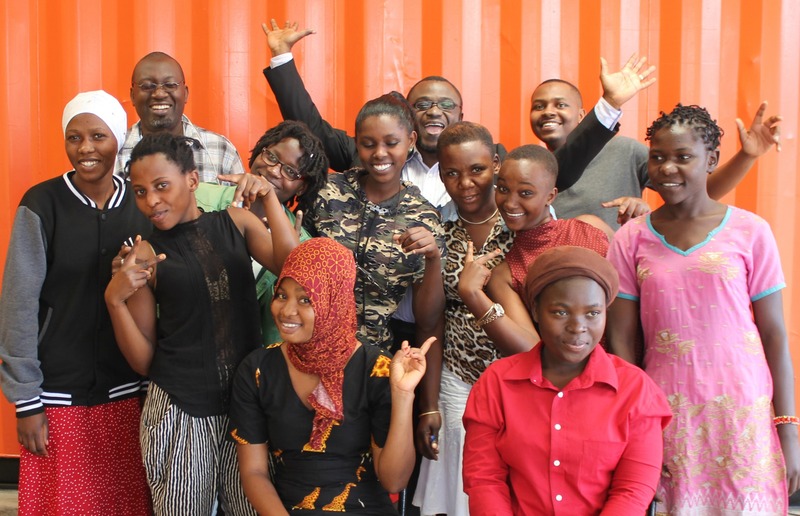 On Wednesday 9th August students from our PYC Core Course were thrilled to welcome guest speakers Martin Muhwezi and Amon Tukaikiriza of the Investors Club Ltd to the youth centre to talk to them about financial literacy. The PYC core course is a 6 month full-time programme structured around Business, English, Entrepreneurship, ICT and Personal Development classes. Wednesday’s speakers sparked discussion about finance, investment and the importance of saving, leaving our students feeling inspired and eager to start their own investment clubs and start saving money immediately! 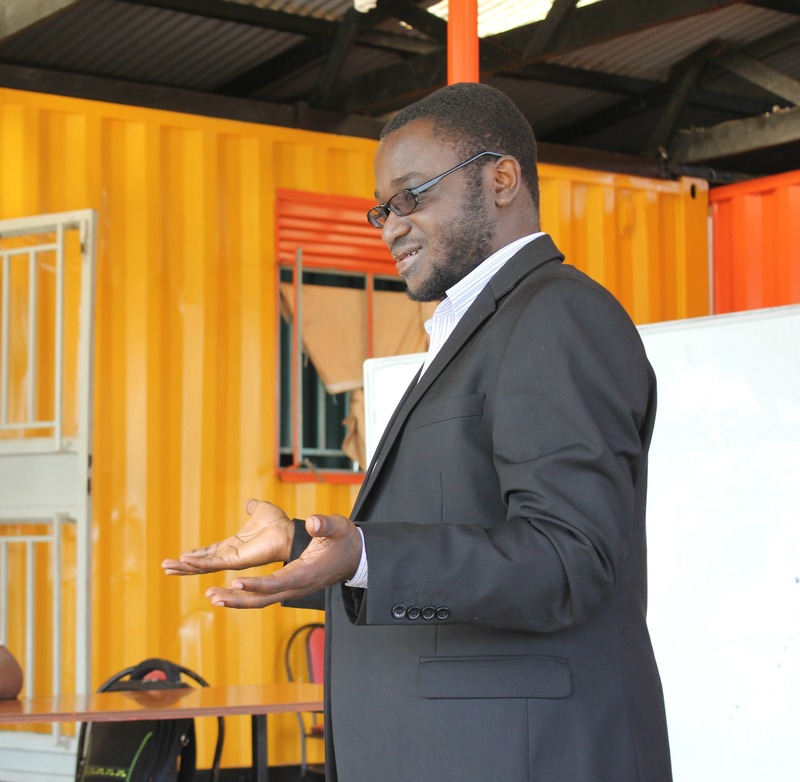 Martin Muhwezi started the conversation by asking our students about their passion, and their profession, before taking us back in time to remember the first time we handled money. 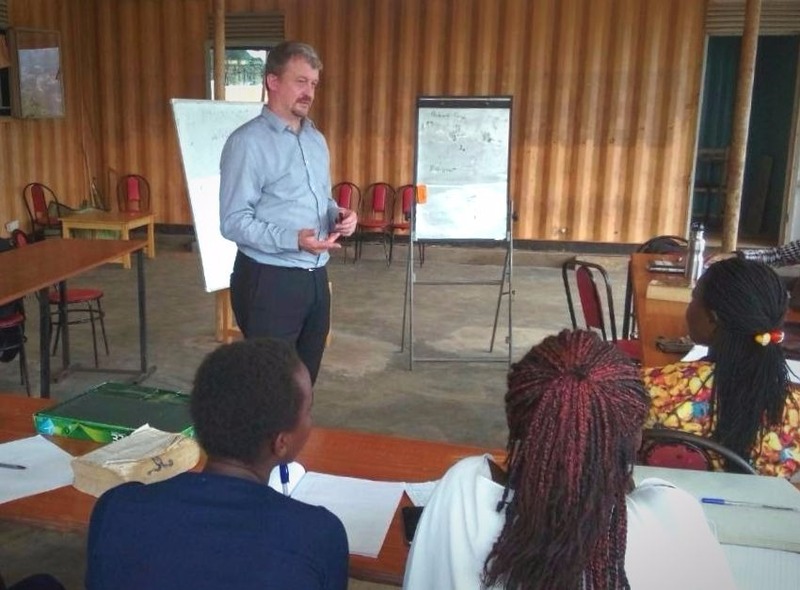 Then, after an overview of the financial situation in East Africa, and in particular Uganda – which has the lowest GDP in East Africa – Martin discussed the best ways to save, introducing the students to a basic equation to help them in their quest to start saving money. Where Y = Income, C = Consumption and S = Savings, one of the best ways to save is Y – S = C, meaning that you spend only what is left after your savings have been put to one side. As Warren Buffet stated: ‘â€˜Do not save what is left after spending, but spend what is left after saving”. Martin went on to talk about the importance of investment clubs and working together towards a unified purpose. He explained to the students that investments clubs are fun because you can learn, save and invest together as a team. He added that there is also less risk with more people as the risk is divided and also that returns are higher because money has been pooled together and it is easier to invest with larger sums of money. 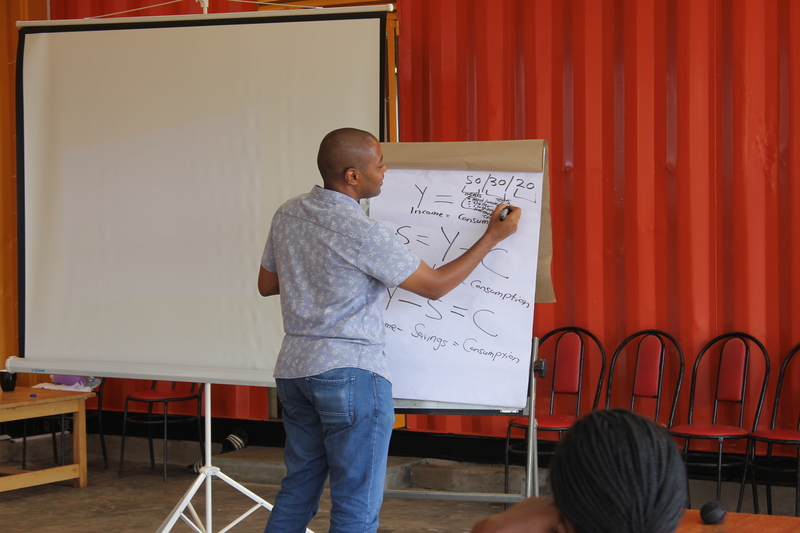 Martin Muhwezi introducing students to the basic equation to start saving money. This workshop gave our students the opportunity to interact with successful investors, inspiring them to start changing their mind-sets about money and their relationship with it. The conversation tied in well with our Core Course syllabus, which aims to educate the students about understanding finances and how to best manage them. 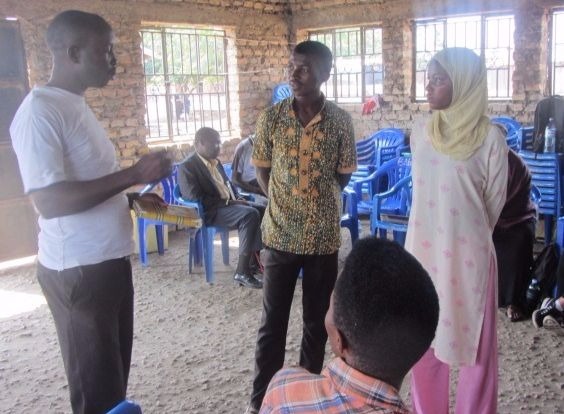 The Youth Centre gives training in basic financial management including savings, loans, bookkeeping and how to run a business, in addition to inviting professionals like Martin and Amon to speak and mentor the students about saving groups like the Investors Club Ltd which Martin and Amon are a part of. Our students will continue to be encouraged to work in small groups to help improve their bargaining power and learn how to be accountable to one another. This is a successful model in generating start-up income, as there is security in numbers. 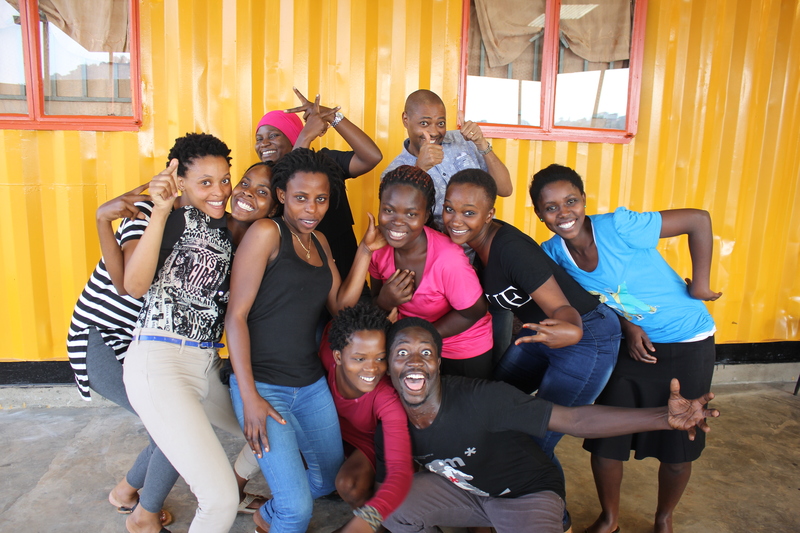 As a group the students have the opportunity to start a savings loan group or a small SACCO that allows them to start saving and take out loans from the same group using their savings as collateral. Our interactive talks from experts help to give the students a greater understanding of different grants and loans, and help them to determine which might be more suitable for them. After this week’s motivational talk, we hope that our students will now feel more confident to think big and dare to start something new! Thanks very much Martin and Amol! Martin Muhwezi giving a speech on financial literacy. In the framework the water projects’ monitoring system, Fontes Foundation conducted a field trip to check on water and educational projects in Queen Elizabeth National Park in Western Uganda from Sunday 16th to Friday 21st July 2017. 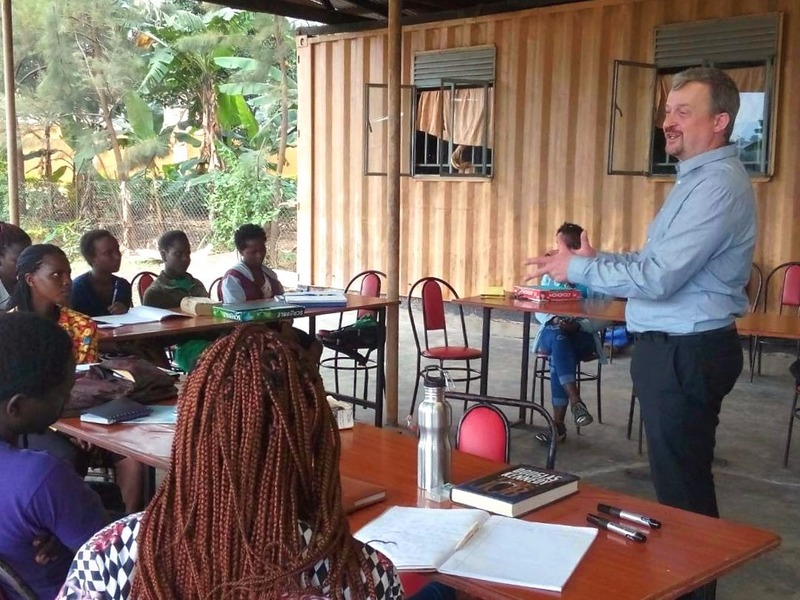 During the field trip, Philip Borchert (Laboremus Uganda Ltd) and Agnes Kampire (Fontes Foundation) held management workshops for the water committees. The aim of these management workshops was to provide a platform to reflect on past issues and to review how they were resolved, focusing on how the committees communicate internally and with different stakeholders. 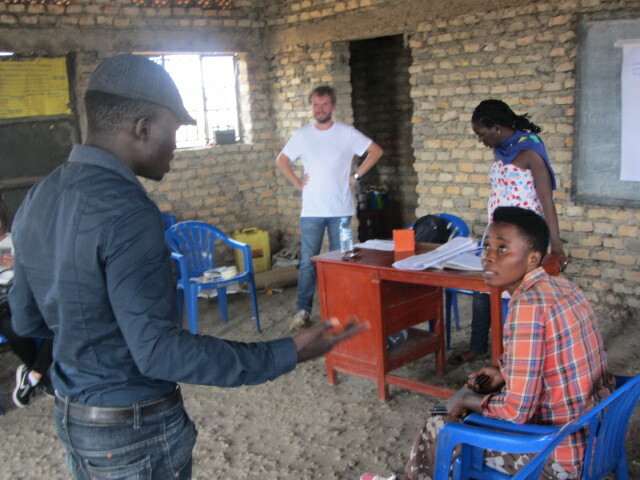 Philip Borchert (Laboremus Uganda Ltd) and Agnes Kampire (Fontes Foundation) leading a management workshop for the water committees. How to deal with a difficult person on a committee and help them to perform well. How the water committee is responsible/accountable to the community. How the water committee can involve the community in the management of the water. Providing a workshop to help water committee members come together to improve their communication and management is crucial to the water projects’ sustainability. It is important that the committees can work independently from Fontes Foundation so that if necessary the projects can sustain themselves without our help. To spark discussion, the committee prepared a role play, during which they impressed us with their acting skills. The role play addressed issues like how to detect conflicts in the team, including conflict resolution, money management and how to communicate better in a team. The members of the different committees were very engaged, and we were delighted to see how the different members reflected upon and discussed best-practices for the management of water systems. 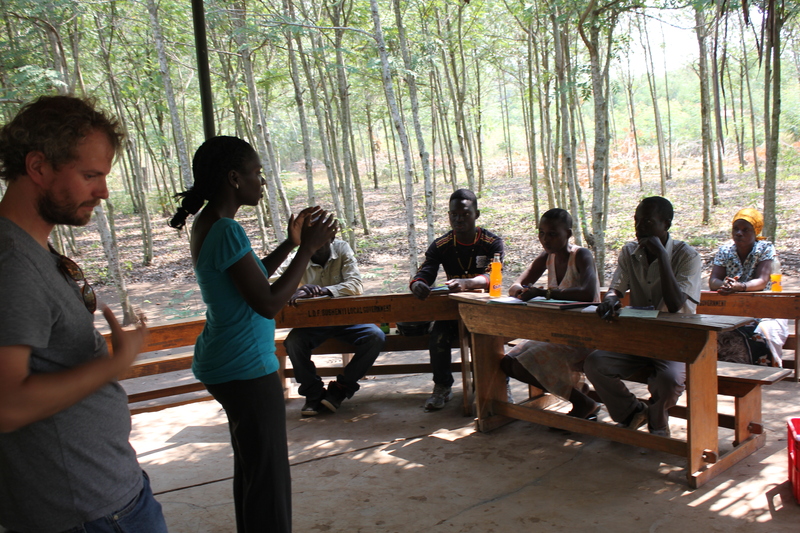 Members of the water committees participating in role play.